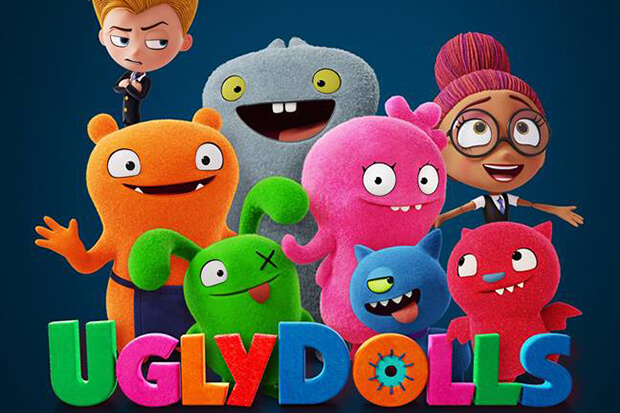 The Ugly Dolls soundtrack is shaping up to be an absolute blockbuster. At least if the first song to arrive from the animated movie (in theaters May 3) is any indication. Penned by Pink and produced by Marshmello & Steve Mac, “Broken & Beautiful” finds Kelly Clarkson at the absolute peak of her powers — belting out the inspirational lyrics over mid-tempo bleeps and beeps. It sounds like a hit. Happily, it isn’t Kelly’s only contribution to the soundtrack. She also delivers three other songs as well as two duets with Janelle Monáe. The rest of the album is equally star-studded. Nick Jonas contributes “The Ugly Truth” and “The Uglier Truth,” while Bebe Rexha lends her voice to “Girl In The Mirror.” Other featured artists include Brazilian pop goddess Anitta, who sings “Ugly” in two languages, rising boy band Why Don’t We, country superstar Blake Shelton and a cappella hitmakers Pentatonix. See the full tracklist below and check out Kelly’s “Broken & Beautiful” at the bottom of the post. Are you excited for the movie? Let us know below, or by hitting us up on Facebook and Twitter!